About - Monterey Technology Group, Inc.
Randy Franklin Smith is president and CEO of Monterey Technology Group, Inc. As a Systems Security Certified Professional (SSCP) , a Microsoft Security Most Valued Professional (MVP) and a Certified Information Systems Auditor (CISA), Randy specializes in Windows and Active Directory security and performs security reviews for clients ranging from small, privately held firms to Fortune 500 companies and entities like the Organization of American States. Randy was technical editor of Windows IT Pro Security Administrator where he also wrote the Access Denied column. Randy has written almost 300 articles on Windows security issues for publications like Information Security Magazine and Windows IT Pro where he was a contributing editor and author of the popular Windows security log series. In 2003, Randy won the APEX Award of Excellence for writing "8 Tips for Avoiding the Next Big Worm". Randy serves as an expert for TechTarget at SearchEnterpriseDesktop.com and is a member of the Information Systems Security Association (ISSA), Information Systems Audit and Control Association (ISACA) and Center for Internet Security (CIS). 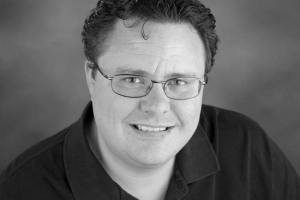 Randy is the creator and exclusive instructor for the Ultimate Windows Security course series. Prior to developing Ultimate IT Security, formally known as Ultimate Windows Security, for IT pros, Randy accrued many years of experience training IT auditors on Windows security as the developer and primary instructor for MIS Training Institute's Windows and Active Directory audit curriculum. Each year through MIS, Randy trains dozens of internal auditors from organizations around the world, associates of the “big four” public accounting firms and bank examiners with the FDIC, OCC, FFIEC and other agencies such as NASA. When SharePoint 2007 gained a new audit log capability, Randy intended to replicate the work he’d done on the Windows security log for SharePoint so that security operations centers could make sense of the events they would begin receiving in their SIEMs. But he quickly discovered the gap between the SharePoint audit log and log management/SIEM solutions. He later discovered this gap to SIEM exists also with many other applications. This has created a blind spot in security operations centers today at the most critical layer – the application. After all, information security is about protecting information and your information is in applications. Hence the need for application security intelligence. In 2008 Randy started the software division of MTG, LOGbinder, to bring solutions to the application security intelligence space. Today LOGbinder is used by hundreds of organizations and has formed partnerships with the top players in SIEM and BDSA. Randy remains deeply involved with LOGbinder design, development, roadmap and evangelism. Randy started off in information technology in the 80s developing software for a variety of companies. During the early 90s he lead a business process re-engineering effort for a multi-national organization and designed several mission critical, object-oriented, client/server systems still in use today. As the Internet and Windows NT took off, Randy focused on security and led his employer’s information security planning team. Randy formed Monterey Technology Group in 1997. Monterey Technology Group, Inc. leverages its significant intellectual property holdings through alliances in the Microsoft partner community to build better solutions for risk mitigation, compliance reporting, log management and IT audit processes. Monterey Technology Group, Inc. is a South Carolina corporation currently based in Carmel Valley, California. © 2019 - Monterey Technology Group, Inc.